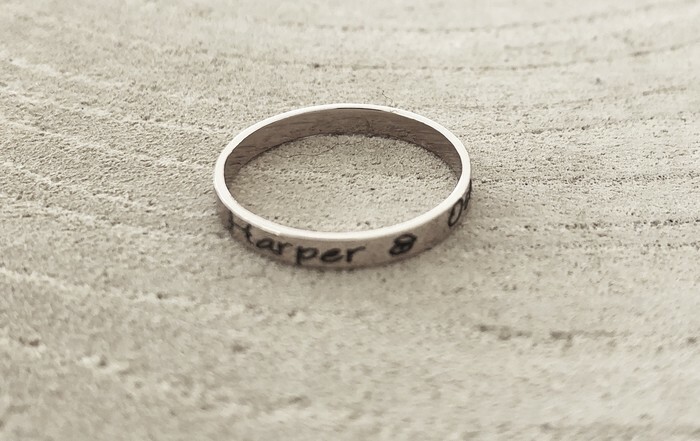 These stunning rings are perfect to stamp names, dates or some precious words. 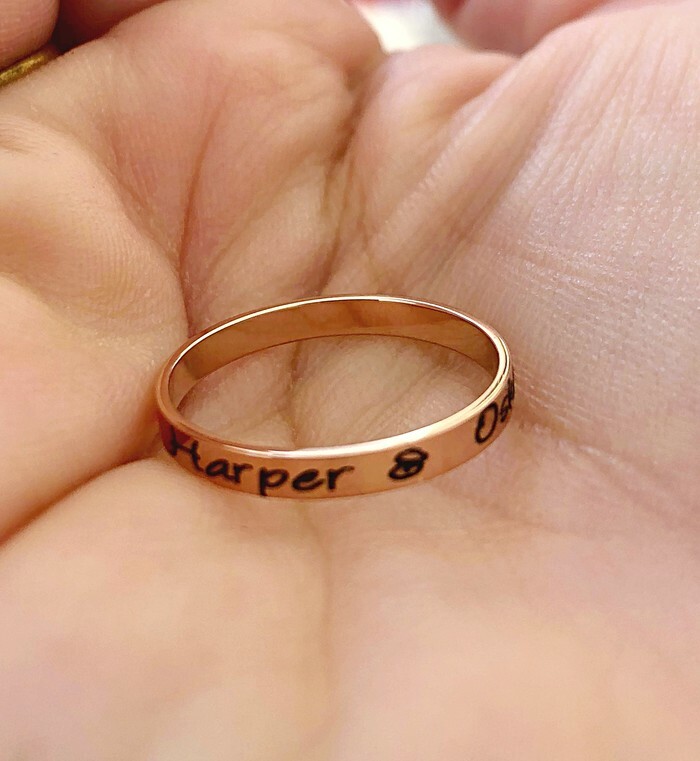 They are great to stack as stackable ring sets and come in stainless steel silver, rose gold and yellow gold. 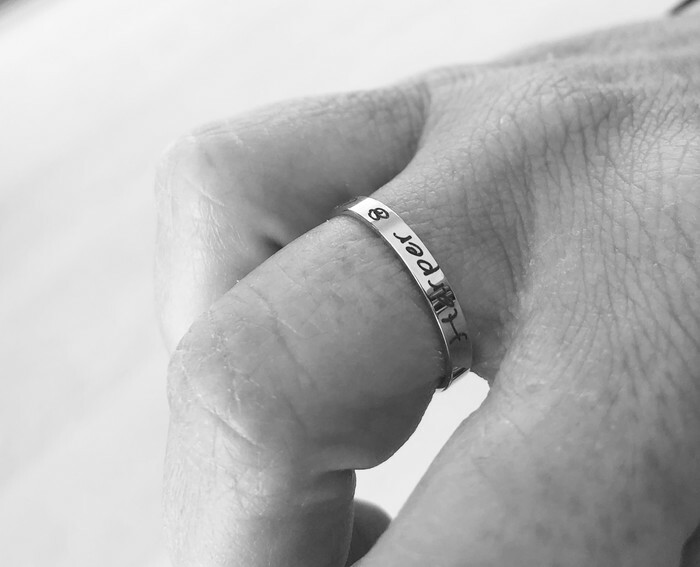 You can wear one, two or three or more if you wish and choose the same metal or a mix. Approximately 24 characters can fit around the whole ring. Please add size to message to seller section at checkout along with stamping details. If you would like more than one please choose 2 or 3 from the drop down menu and let me know which metal you prefer. 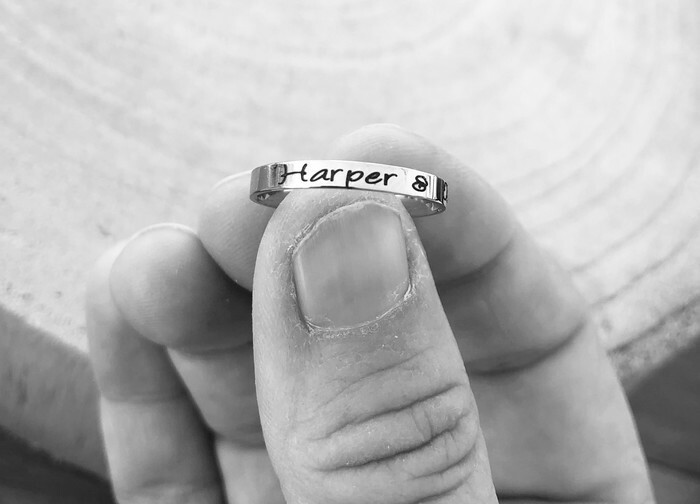 I absolutely love mine and have my childrens names on one, you and me on the second and my wedding date on the third. 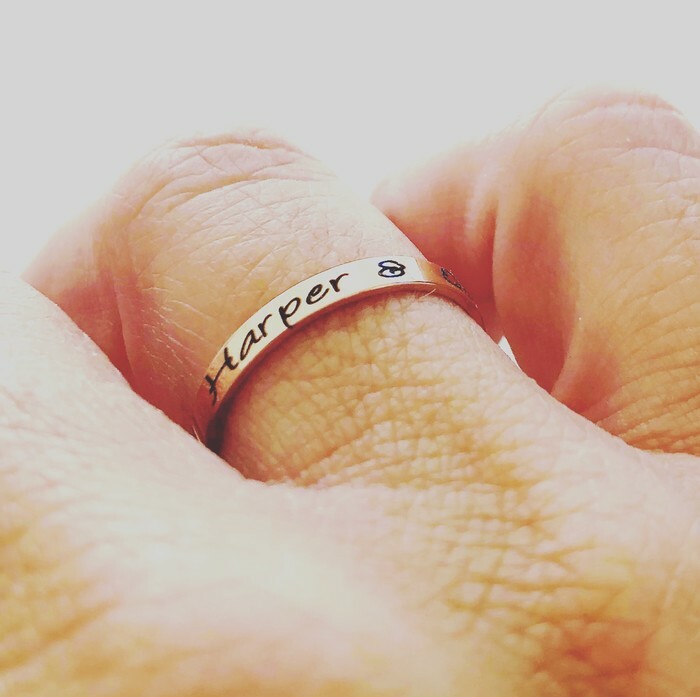 You can have anything you like stamped. These are lightweight and fine.